Find the perfect Arctic trip in Greenland. There are 14 Arctic expeditions in Greenland to choose from, that range in length from 4 days up to 15 days. The most popular month for these tours is August. 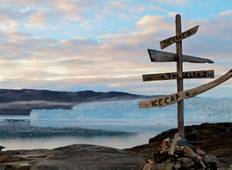 "Just returned, Sept2017, from Spitzbergen and Greenland expedition on GAdventure's..."